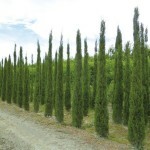 This Italian Cypress is one of the more impressive cultivars. Pencil-thin and conical, reaching heights of perhaps 30 ft tall in maturity, this cultivar is highly valued for the ascending, spire-like effect it can bring to a restricted space, or a space where shade is not desired. 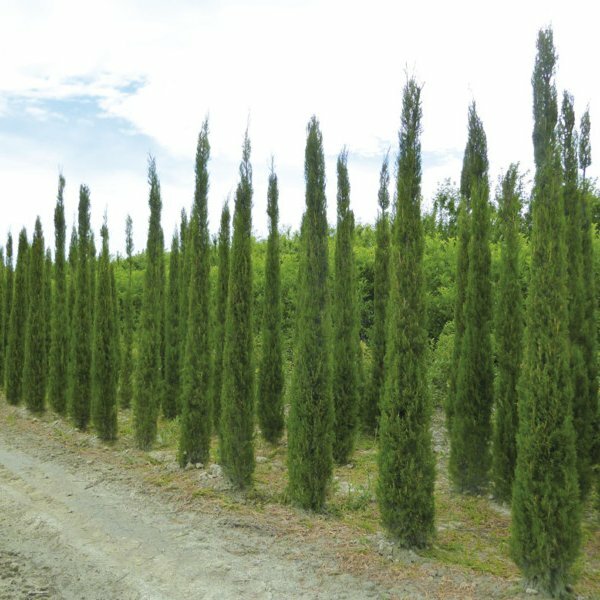 'Stricta' is the narrowest of all the C. sempervirens. 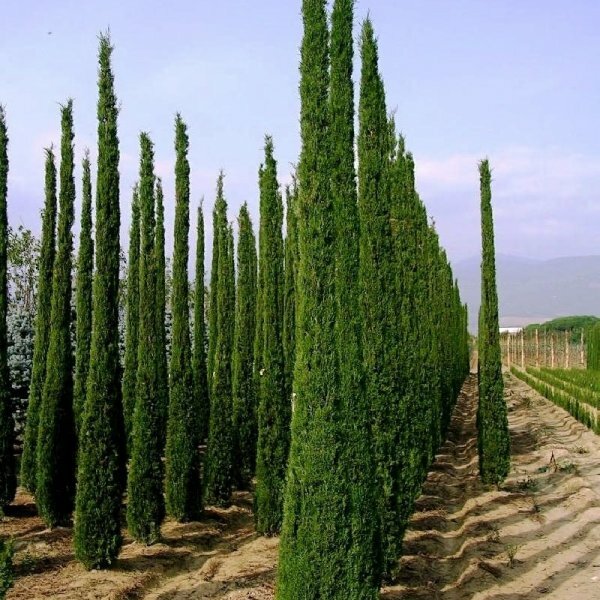 Plant as a hedge or screen, in groups of 3 to 5 in a formal landscape, at entry ways for a structured look or as a specimen plant against a building to soften the hard lines of the building. Advisory: Although wildly popular with designers, and regularly featuring in show gardens, the species is not entirely hardy in the British Isles, and is at risk if exposed to extended periods of very cold temperatures. If you are amongst the many prepared to accept that risk, we advise planting in full sun, sheltered from cold, dry winds. Tolerates lime soils. 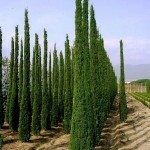 Landscape uses - As a hedge or screen, in groups in a formal landscape, at entry ways for a structured look.